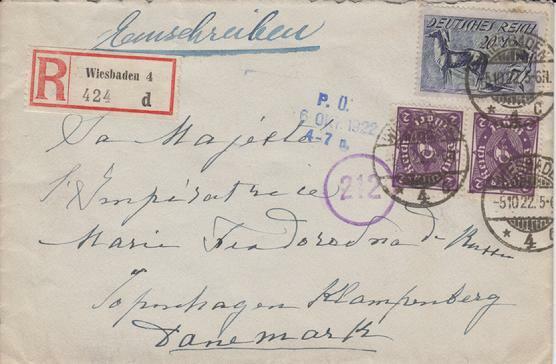 from a member of the Royal Family on October 5, 1922 to Empress Maria Feodorovna (past wife of Czar Alexander III and mother of last Czar Nicholas II). 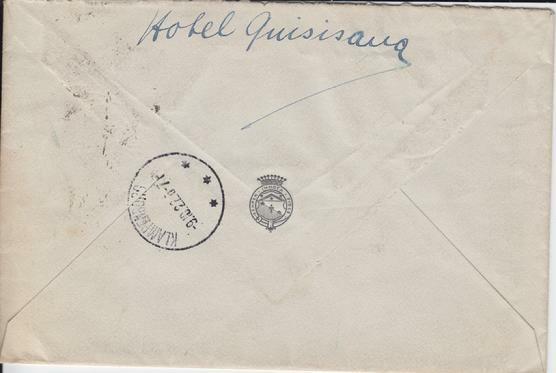 Received in Copenhagen, Klampenborg, Denmark on October 9, 1922. Original and extremly rare item, from Romanov Dynasty.